Spring finally arrived, and I started the month off with a trip to Sweden to take part in a week long Wildeye course in nature recording with the venerable Chris Watson and Jez Riley French. The wonderful Jana Windersen also joined us during the course to share her practice, ensuring that the trip was all the more inspiring and informative. I'll be doing a longer post detailing the course, with some audio. I'd be remiss, given the following paragraph, to not publish this one recording from the trip of a roe deer calling in the forest near the hostel I stayed at. The Killing of a Sacred Deer screened at Cannes to a really excellent critical response, and the icing on the cake is that it jangled some nerves sufficiently enough that a few people booed it! I have been anxiously waiting to see what an audience response to it would be, since cutting the foley for it back in February, and it hasn't disappointed. It is a film that demands to be seen several times, and really burrows its way into your psyche. The amazing poster gives a small glimpse of the visual mastery at work. Not content with the inspiration levels from a weeklong Sweden sound recording workshop, this month I've also managed to attend discussions with two auteurs of modern cinema. 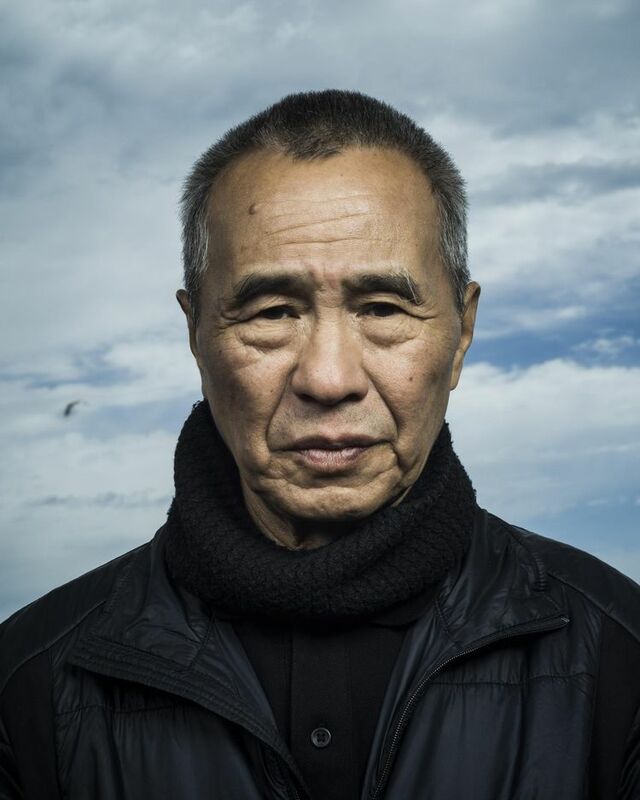 Hou Hsiao-hsien gave a masterclass earlier in the month at the IFI, and spoke about his visual aesthetic and the intuitions that drive his film making. 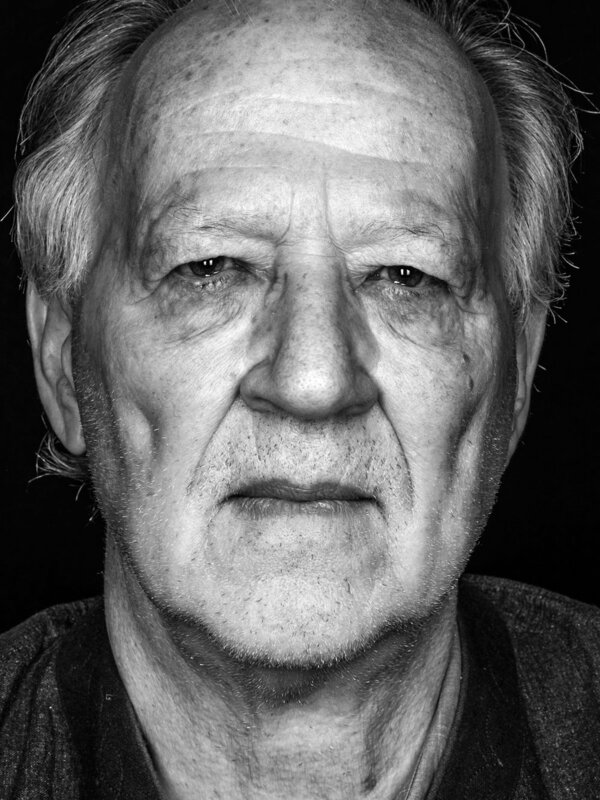 Werner Herzog was then in conversation at the National Concert Hall as part of the Dublin Literary Festival, where he spoke about the books that have inspired him and influenced his world view. What became evident with both filmmakers is that they are modern pilgrims; searching for a universal truth by being uncompromising in their work and driven by a faith in their personal vision. Baker's "The Peregrine" (New York Review Books Edition published by HarperCollins). Great news from Cannes that Yorgos Lanthimos' The Killing of a Sacred Deer has been chosen for the Official Selection this year. Sound Design is being handled by Lanthimos' previous The Lobster collaborator, Johnnie Burn, who is also known for the superb soundscape of Under The Skin. I cut the foley for Sacred Deer and it is another fascinating film in the inimitable and logically lateral world of Lanthimos. Looking forward to hearing about the audience reaction. A great result at the IFTAs for Tomato Red which won in the Best Sound category. The film is wonderfully written and shot, and the soundscape designed by Steve Fanagan, Niall Brady and Ken Galvin is nuanced and immersive. It was a great to get do some work on such good sounding film, and it is worth seeking it and Juanita Wilson's other films to see some great filmmaking. Really happy to see three projects I was fortunate enough to work on were listed as nominees for the 2017 IFTAs. An Klondike has garnered a stunning 10 nominations including Best Drama, Best Direction, Best Script and Best Music. It was a fantastic show to work on and fully deserves the attention. Smalltown has earned 3 nominations including Best Drama. It was wonderful to work on and to be part of a show that sees Pat Shortt deliver such an amazing dramatic turn. Juanita Wilson's Tomato Red is up for 4 awards including Best Film and Best Sound. I was delighted to work as Foley Editor on this picture and the sound team of Niall Brady, Steve Fanagan, Garret Farrell and Ken Galvin are fully deserving of a win for crafting such a gorgeous soundscape. I've been working with binaural for an upcoming project, and took the opportunity to record the Macnas parade for the Bram Stoker Festival in Dublin using the binaural technique. Results with binaural ambiences can vary in their effectiveness, but if you close your eyes and listen, there's a nice sense of the parade moving in front of you. I had to make two small gain adjustments as there were some feedback issues with one of the bands on a float. Enjoy. We all know about Maud Gonne, but have you ever heard of George, aka Mrs. WB Yeats? Tune in to “Georgie’s Vision”, to learn more about this extraordinary but self-effacing genius who was the catalyst for her husband’s greatest poetry, yet said “thank-you for leaving me out”. Featuring Professor Margaret Mills Harper, official biographer Ann Saddlemyer, grand-daughter and harpist Caitriona Yeats, Benedictine Monk Mark Patrick Hederman, poet John Montague, Olwen Fouere, Ingrid Craigie, David Heap, and Pat Laffan, among others. A Deirdre Mulrooney production for RTE Lyric FM with the support of BAI Sound and Vision Scheme. The incomparable Olwen Fouéré provided the voice of Georgie Yeats, reciting the words from A Vision that Georgie channeled in her automatic writing, providing creative inspiration and guidance for W.B. I had a lot of fun on this creating some very atmospheric sounds for readings to try and create a suitably occult listening experience!